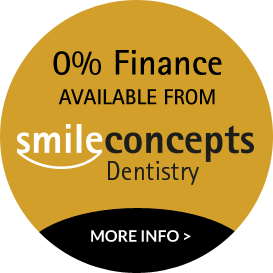 At Smile Concepts, in Solihull, Birmingham, we are at the forefront of implant technology. We act as an international training centre for dentists wishing to undertake dental implants. We are one of a very few number of centres in the UK to offer an in house CT scanner to allow the most precise and accurate planning for tooth implant placement. Both our implantologists Dominic and Robert are General Dental Council registered specialists with international reputation. The teeth implants systems we use are supported by extensive clinical research. Dental implants are an excellent choice for patients who come to Smile Concepts in need of treatment for missing teeth. Acting like the root of a real tooth, the titanium post is surgically inserted into the jaw, onto which can be placed a bridge or crown. Made from titanium, implants can also be used to support dentures, giving you back your confidence and leaving you with teeth that are comfortable and stable. After the tooth implant has been placed it is then generally left to heal for a period of time depending on your individual case. This healing process allows the implant to integrate with the bone and surrounding tissue, to allow for firm support for your bridge, crown or denture. We offer latest techniques and in suitable cases it is possible for you to have your implant prosthesis (crown, bridge or denture) fitted on the day of implant placement. Dental implants are a very predictable solution for missing teeth, lasting for many years as long as you maintain a good level of oral health.